On 24 October 1945, the United Nations Charter entered into force, thus establishing a system of collective security. Article 2(4) of the Charter of the United Nations prohibits the “threat or use of force against the territorial integrity or political independence of any state, or in any other manner inconsistent with the Purposes of the United Nations”. The Charter allows the use of force only for the purpose of individual or collective self-defence or upon authorization by the Security Council. The Charter mandates the Security Council to respond to threats to the peace, breaches of the peace and acts of aggression. It does not however define the notion of aggression, nor does it provide for individual criminal accountability in cases of aggression.The victorious powers of World War II conducted trials in Nuremberg (1945-46) and Tokyo (1946-48) to prosecute those most responsible for crimes against peace, war crimes and crimes against humanity. The Nuremberg Charter defined crimes against peace as “planning, preparation, initiation or waging of a war of aggression, or a war in violation of international treaties, agreements or assurances, or participation in a Common Plan or Conspiracy for the accomplishment of the foregoing”. It did not however specify further what was meant by “aggression”. Subsequent to the Nuremberg and Tokyo trials, the UN General Assembly affirmed the principles of the Nuremberg Charter and of the Nuremberg Tribunal’s judgment in Resolution 95(I) in 1946. In 1950, the International Law Commission codified these important rules in the famous Nuremberg Principles. 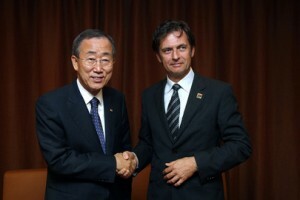 Following decades of negotiations, in December 1974, the UN General Assembly adopted Resolution 3314 (XXIX). The purpose of the definition of aggression annexed to the resolution was to give guidance to the Security Council in its determination of the existence of an act of aggression. Notably, the definition deals with the State act of aggression, not the act of an individual who may be responsible for the State act. The definition of aggression essentially mirrors the notion of the illegal use of force contained in Article 2(4) of the Charter and enumerates specific examples of acts of aggression, such as the invasion or attack by the armed forces of a State of the territory of another State (including related military occupation), bombardment by the armed forces of a State against the territory of another State, etc. The core provisions of the 1974 definition (Articles 1 and 3) were later incorporated into part of the 2010 definition of the crime of aggression under the Rome Statute. The question whether or not to include the crime of aggression, and if so, how to define it, was one of the central disputes at the July 1998 diplomatic conference that led to the adoption of the Rome Statute of the International Criminal Court. Delegates could not agree on a definition of the crime of aggression, as some wanted only “wars of aggression” to be covered, whereas others wanted to use what is arguably the broader notion of “acts of aggression” contained in the 1974 GA definition. Even more difficult was the question of whether the ICC should only prosecute crimes of aggression once the Security Council has determined the existence of an act of aggression by one State against another. 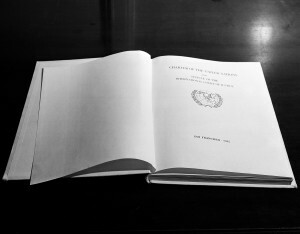 As part of the final compromise, the crime of aggression was included in the list of crimes under the jurisdiction of the Court, but the definition and the conditions for the exercise of jurisdiction (including the question of the role of the Security Council) were deferred for consideration by the first Review Conference. Following the 1998 Rome Conference, the Preparatory Commission for the ICC (PrepComm, 1999-2002) and later the Special Working Group on the Crime of Aggression (SWGCA, 2003-2009) continued negotiations on the outstanding issues regarding the crime of aggression. In February 2009, the SWGCA found a consensus agreement on the definition of the crime of aggression. The 2010 Kampala Review Conference used that definition and could thus focus on other outstanding issues, i.e. the “conditions for the exercise of jurisdiction”. States Parties seized the historic opportunity and adopted Resolution RC/Res.6 by consensus. The resolution amended the Rome Statute to include, inter alia, new article 8 bis containing a definition of the crime of aggression and new articles 15 bis and 15 ter, containing complex provisions on the conditions for the exercise of jurisdiction. Notably, the compromise included a clause that prevents the Court from exercising jurisdiction over the crime of aggression immediately. Instead, the Assembly of States Parties will have to take a further one-time decision to activate the Court’s jurisdiction, no earlier than 2017. Also, one year must have passed since the 30th ratification before the Court can exercise its jurisdiction over the crime of aggression.